Anesthesia, consultation, radiology & ultrasound, laboratory, vaccination, pharmacy, parasite prevention, hospice & euthanasia, pain management, surgery, dental, puppy/kitten and senior care. We offer Comprehensive Care Packages for your new puppy or kitten, as well as annual wellness exams, geriatric exams, emergency exams, etc. Cambria Animal Medical Center is a family-owned practice that has been offering comprehensive veterinary services to the pets of Cambria, California, since 1996. The entire CAMC staff is knowledgeable, friendly, and dedicated to preventative care and client education in order to best support the lifelong health of your pets. We strive to exceed your expectations by treating you and your pet with respect, honesty, and compassion, and by treating all animals as if they were our own. We work closely with experts in other specialty fields, including ophthalmology, radiology, oncology, and internal medicine. We have a fully-stocked pharmacy and can fill any prescriptions our doctors prescribe your pet at the time of your visit. Our puppy and kitten wellness program includes a series of comprehensive examinations, vaccinations, and parasite control/prevention. Pets are living longer, healthier lives due to vaccines that help protect them from deadly, infectious diseases. Fleas, ticks, and intestinal worms are a nuisance to your pet and can cause serious illness and even death in pets. Oral health is vital to your pet’s health and quality of life. 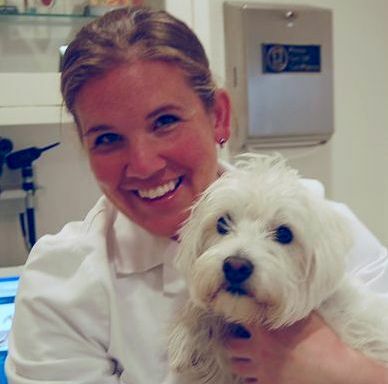 Dr. Suzy Van Beurden, DVM, provides a full range of services for your pets. 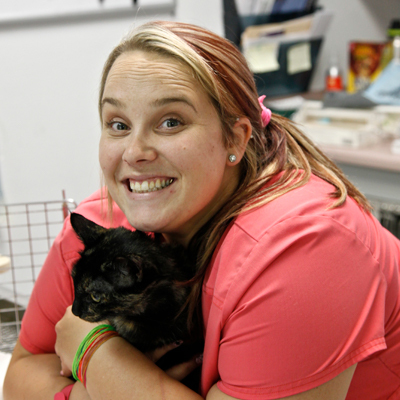 Our technicians use their skilled hands, and caring hearts to provide your pets with the highest caliber care. 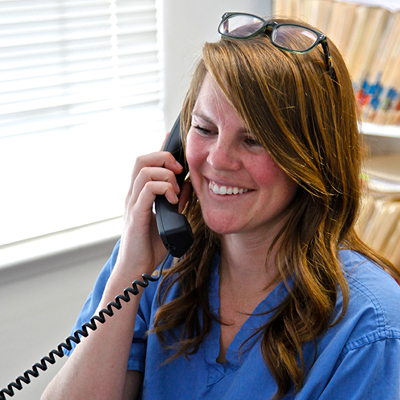 Our staff will answer your questions and make every visit to CAMC a positive experience for you & your pets.